On beautiful green fields around the U.S., college and professional football players are facing up to 100Gs of rapid deceleration from helmet-to-helmet collisions each week. The result? Concussions and, sometimes, permanent brain injury. Players who stay in the game post-concussion have sparked a national conversation about player safety and the lack of diagnosis on the sidelines. The NFL has been the biggest target. Former professional players filed a class action lawsuit accusing the organization of concealing knowledge of long-term health effects from concussions and failing to protect players’ health; and as of this post, they are awaiting the judge’s ruling on a $765 million settlement. Colleges are also in the spotlight for their questionable judgment. In September, University of Michigan football coach Brady Hoke left his quarterback in the game after a concussion. One tragic event surrounds Ohio State University football player Kosta Karageorge, a defensive lineman with a history of sports-related concussions, who was found dead from a self-inflicted gunshot wound last month. Prior to his death, Karageorge texted his mom citing his concussions and said “I am sorry if I am an embarrassment.” This tragedy is still under investigation and an Ohio coroner ordered an examination of his brain to discover indications of traumatic brain injury. Research shows that 60 percent of football collisions are head-to-head, with 37 percent of helmet-to-helmet impacts occurring in the front, 36 percent in the back, and the remainder on the sides from a rotational force. Professional players will take an average of 900 to 1,500 blows to the head during a season. A concussion occurs when the head is whiplashed or receives a blow that causes our three-pound brains, which normally float around in a cushion of fluid, to slam violently against the skull. On the field, many concussions occur at 100Gs of force when two players running at an average of 20 MPH collide, and all motion stops within a short amount of time (10-15 milliseconds), except the brain, which keeps moving and absorbing that force. According to medical experts, helmets are designed to reduce the risk of severe, traumatic brain and skull injuries. While helmets may reduce the risk of some concussions, they cannot and do not prevent concussions altogether. In fact, even with a helmet, a player is still at risk for brain injuries even with lower-impact collisions. Fortunately, technology such as sensors and magnets are being weaved into the designs of new personal equipment with the intent to detect, disperse, displace and absorb force and further reduce the risk of brain injury in impact sports. The exact origin of mouthguards is unknown but early designs from the 1890s spawned from the sport of boxing, and were strictly for protection of an athlete’s teeth. Cotton, tape or small pieces of wood were used to protect boxers’ pearly whites. Fast forward, and the athletic dental chew toy has evolved into a rubberized Boil and Bite for use in over 29 sports as a mouth protector and a concussion preventative. Modern day mouthguards may reduce the risk of concussion but are becoming even more technologically advanced. Recent designs include accelerometers, gyroscopes and built-in sensors that can gather real-time data about the force of an on-field collision, and instantly alert coaches and doctors about a potential injury. Force Impact Technologies was co-founded by Anthony Gonzales, a former rugby player who incurred a concussion from a multiplayer collision. With co-founder Bob Merriman, they designed the FITGuard, a head-injury awareness mouthguard for youth athletes. On impact, the FITGuard measures and visually displays the amount of force incurred through the illumination of LED on the front of the mouthguard. Based on pre-established thresholds, the lights change color depending on the force, signaling the possibility of a concussion. Real-time data and alerts about the impact – linear and angular accelerations as well as the duration of the hit – are sent wirelessly to the sideline staff through the app. The company also sends players’ impact data to a centralized database which can be downloaded by a user or coach. 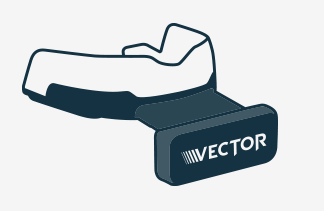 Force Impact Technologies recently showcased FITGuard at TechCrunch Disrupt, and is projected to be available spring 2015.
i1 Biometrics is working on its Vector MouthGuard, which measures intracranial impact data and sends information in real-time to mobile devices. While this mouthguard doesn’t have a grill that lights up, the protruding piece is part of a circuit board that measures sudden changes in linear and rotational acceleration of the head that may result in brain injury, and is currently being beta-tested through a football research and engineering partnership with Louisiana State University. The most important and obvious protective device in football is the helmet, and here we’ve seen an evolution from traditional soft leather to polycarbonate with a face mask to models that talk to mobile devices. Earlier this year, Riddell released INSITE, a helmet loaded with a five-zone sensor pad that measures linear and rotational acceleration and location and duration of an impact. Upon impact, the helmet automatically sends notifications wirelessly to sideline staff about a player’s collision. While some high-tech solutions are helping coaches identify players who may have incurred an injury, others are working to reduce the magnitude of those injuries. If you’ve ever pressed two negative sides of magnets together, you’ve felt a repelling force. Raymond Colello, Ph.D., a professor at the Virginia Commonwealth University School of Medicine, has developed an alternative retrofit solution for existing helmets to protect the noggin using the natural power of magnets to disperse energy upon impact. Charging $1,000 to his credit card, Colello bought one of the strongest magnets commercially available. The magnet, made of the rare-earth element neodymium, can lift up to 600 lbs and repulse up to 130 lbs of force starting at 1.5 inches away – Colello found those properties perfect for short-range applications like head protection during helmet collisions. The magnets could potentially reduce the amount of G-forces by almost half, and ultimately mitigate the amount of Gs on the field, Colello explained. Colello has designed thin, curved magnets that can be retrofitted and placed inside the polycarbonate shell of the helmet in the highest impact areas, the front and side. “We are designing the magnets so that it will not be obtrusive – we can retrofit and have maximum effect,” he explained. Colello says the magnets weigh about one-third to a half pound each so, with the expectation of using one to three magnets per helmet, the retrofit would be within regulation for regular and smart helmets, with a little wiggle room if needed. But it’s an all or nothing deal. All players on the field need to use helmet magnets in order to benefit from the repulsion effect. While the trend for personal equipment in sports continues to involve technology and real-time data, Colello said that preventing or reducing concussions is an ongoing challenge and that establishing a baseline is even harder. “The players are getting bigger and stronger, and the hits are getting harder. Regardless of all the equipment and design changes, preventing concussions on the field is a moving target; and there continues to be an increase in concussions,” he said. While player data is useful for measuring force impact, the embedded technology could inadvertently provide a false sense of security, creating more problems than good, explains Erickson. “Helmets don’t prevent concussions, only more serious injuries to the brain,” he said. For youth sports, Erickson encourages players to obtain a baseline test and most importantly to educate players about concussion symptoms, engage in strength training, and work with coaches who teach proper “heads up” tackling techniques. “Neck strength is important for preventing concussions, as well as being coached by someone who knows proper tackling techniques, thus using your body instead of your head as a weapon and ultimately reducing the number of impacts to the head,” Erickson states. With each concussion, players are twice as likely to suffer another concussion and six times as likely to suffer a third, explains Colello. These high-tech advances can’t prevent concussions from happening, but they are part of the overall solution to reduce the number of concussed players at all levels and getting them off the field before they cause further, even permanent damage, to themselves.